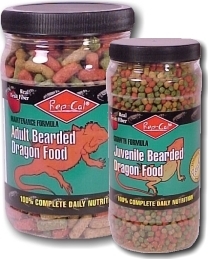 Rep-Cal is proud to bring you our exclusive line of diets for reptiles. 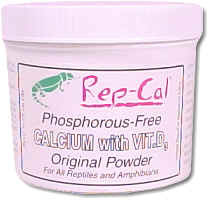 The Rep-Cal Foods line offers six different specie-specific diets. 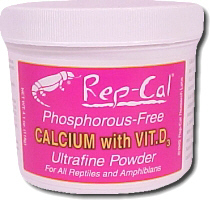 Rep-Cal has combined the expertise of nutritional science with the best practical feeding experience to produce diets for reptiles that are superior by all standards. Our staff of veterinarians has thoroughly researched optimal vitamin and mineral levels for each species of reptile. We use plant ingredients which are naturally high in protein and fibers, and add all essential nutrients, including calcium and vitamin D3; and each pellet contains the proper proportion of nutrients, so there is no need to worry about picky eaters. 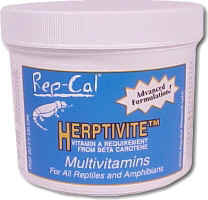 Rep-Cal is proud to bring you our exclusive line of supplements for reptiles. 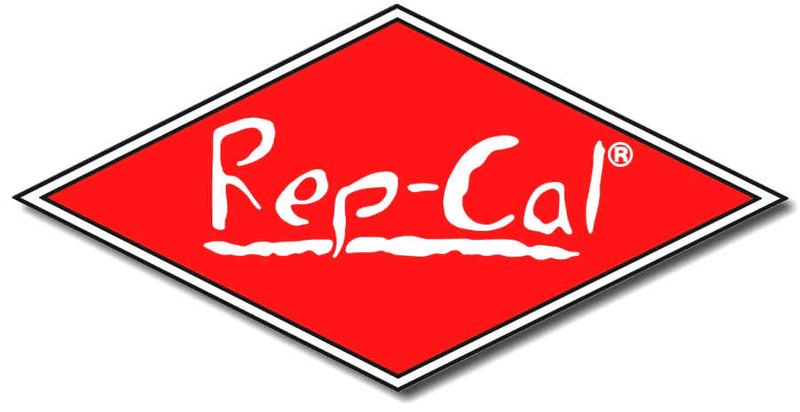 Rep-Cal has long been the industry leader in reptile nutrition, and no other company backs their products with as much research and expertise. In addition to being nutritionally sound, Rep-Cal diets avoid the problems associated with most commercial diets. Rep-Cal Foods are nutritionally complete, with the needs of individual species carefully researched and tested. Our ingredients are gently cooked by a process called extrusion to improve taste and digestibility. The extrusion process also heats the food to kill bacteria, and allows for the formation of a pellet that isn't dusty. In addition to nutritional quality, Rep-Cal has given careful attention to the appeal and palatability of our foods. 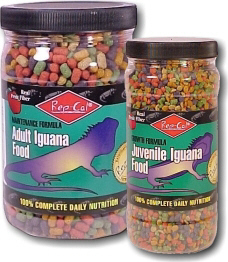 Our multi-colored foods mimic food which reptiles enjoy in the wild and contain a natural blend of ingredients including papaya, mango, strawberry and apple fiber. We tested several recipes on our animals in order to create foods which even the pickiest eater will love. No other reptile food has this much research behind it. Guaranteed. 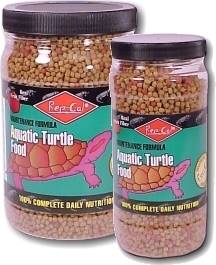 Rep-Cal Foods are formulated by leading reptile veterinarians and nutritionists. Each diet has been tested for nutritional quality on our animals by means of complete physical examinations, growth measurements, and blood analyses. Rep-Cal is continuing with long-term feeding trials, as well as research in reptile nutrition, to ensure that our products always provide the best possible nutrition for growth, reproduction and health. 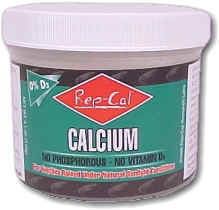 We are confident that Rep-Cal Foods provide the highest quality of nutritional care available.